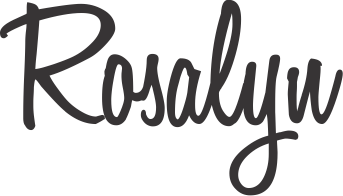 I love finding new online stores that offer unique, fun items. Maison KMV is just my kind of store. 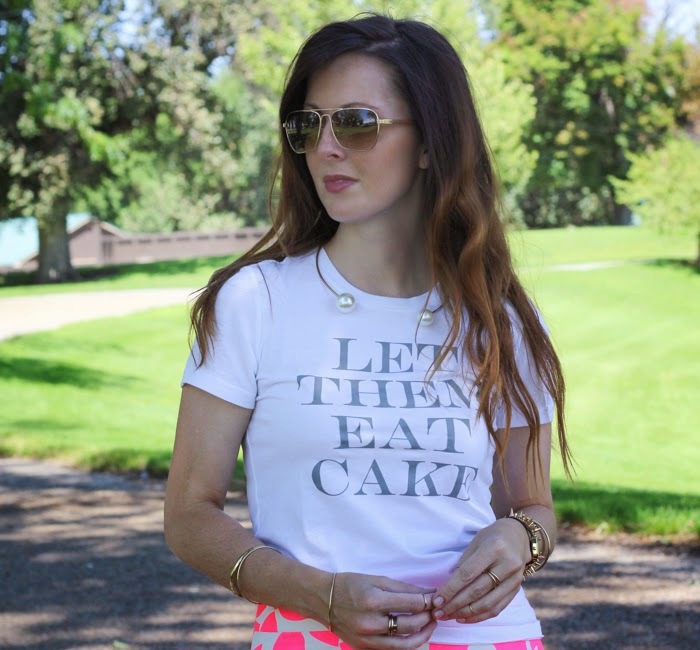 Simple tees is how I dress down a bright, bold skirt. It makes me feel casual and fancy at the same time. 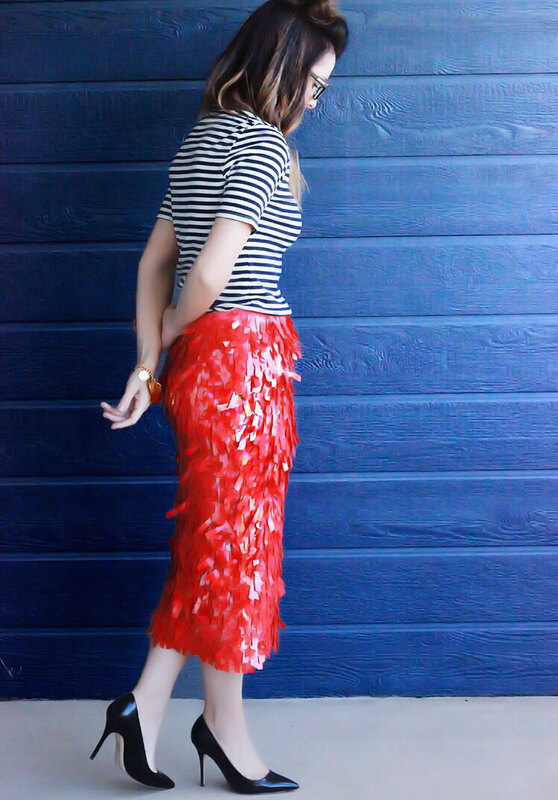 How do you dress down your favorite fancy skirt? 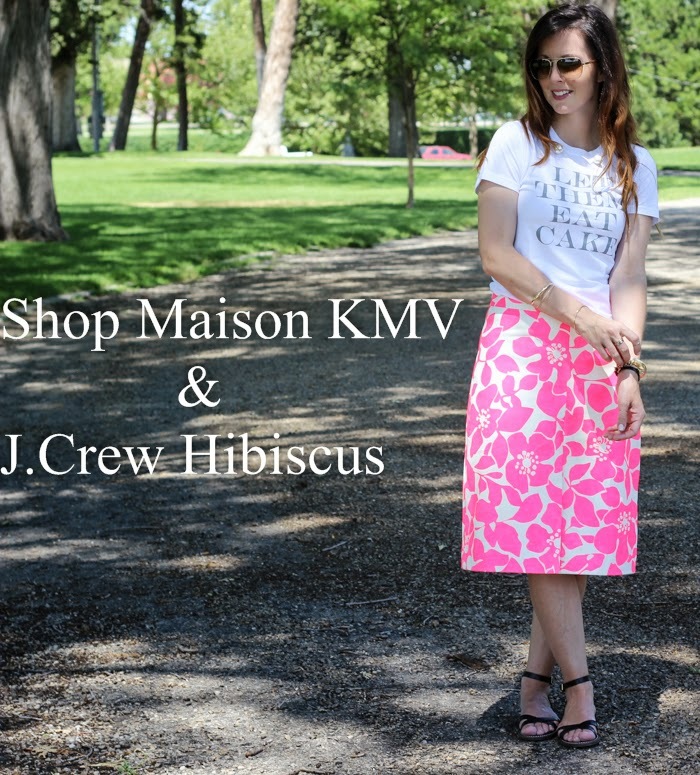 Have fun browsing through Maison KMV, let me know what you love! Love the shirt and that skirt print! So cute! Coming over from the link-up. 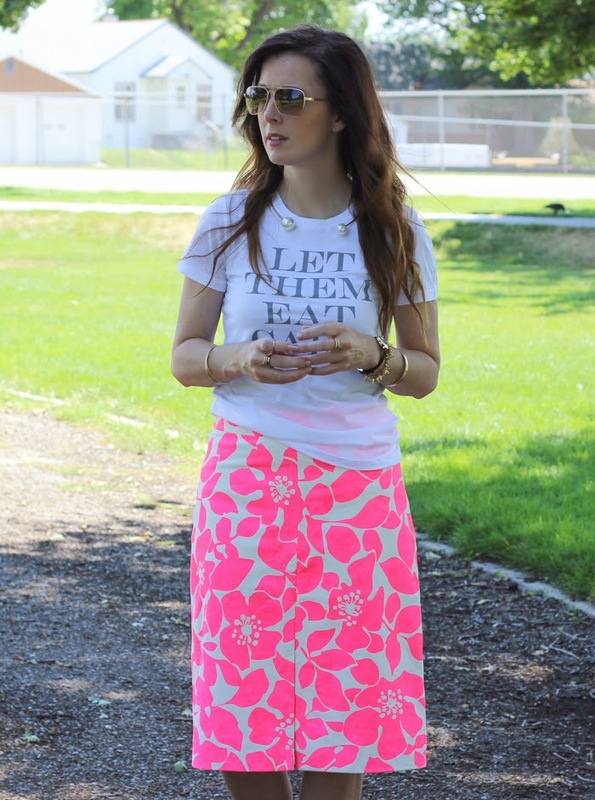 The print on that skirt is so pretty and I love your graphic t-shirt! Very modern and chic. I wouldn't have thought to put that tee with that skirt, but you make it work.